For additional information about this book, visit the website nonflict.com, nonflict.org, nonflict.ca. Are you in a conflict with a family member that is causing you pain? Are you spending too much time dealing with conflict at work? Are you at a crossroads in your life and unsure of which direction to take? 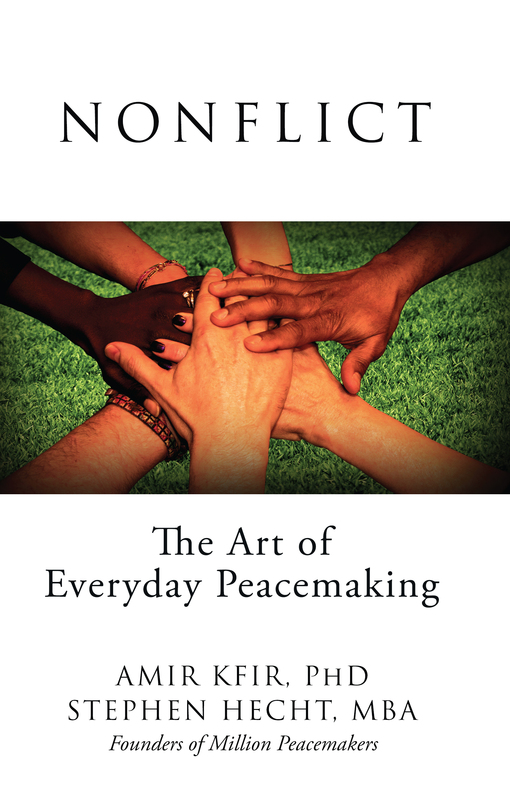 Nonflict: The Art of Everyday Peacemaking is for you. Authors Dr. Amir Kfir and Stephen Hecht offer you practical information and easy-to-follow exercises for dealing with conflict, regardless of the cause. You will see how they have mastered the Nonflict way in their own lives, and you will relate to many of these and other revealing examples. Let the Nonflict way guide you to strengthen and build on your relationships at home, at work, or in the community. Soon, you will also realize that conflicts are merely opportunities in disguise. This is a practical, easy to read book on a topic we all face; conflict resolution. We learn about the styles we use as well as the ‘why’. Then we learn how to effectively face internal and external conflicts and turn them into opportunities for growth and more effective relationships at home, work or in our communities. The book provides a step-by-step guide to deal with conflict that has proven its effectiveness from the CEO suite to Main Street and across a multitude of cultures from North America to the Mid East. We learn more effectively by stories and the authors share many of their own life conflicts as well as some from people who have used the Nonflict way to resolve conflicts at home, at work and in their communities. Dr. Amir Kfir is an organizational psychologist with Amirror and has facilitated Peace Action Forums globally, including Israeli-Arab, Arab-American, Greek-Turkish, Armenian-Turkish, and Jewish-Muslim forums. For over 25 years, Amir has been helping companies worldwide in organizational transformation and has been a leader in the Young Presidents’ Organization (YPO) forum methodology process. Stephen Hecht, President and Chief Executive Peacemaker of Million Peacemakers, is the winner of numerous national and international business and community awards and is a leader in YPO. With over 30 years in private and public businesses, divorce, re-marriage, kids and step-kids, Stephen has experienced many conflicts and shares some of the lessons learned from his own journey and some from the triumphs of the many he has helped.